IDW's newly recolored reprints of classic Doctor Who tales from years past continues. 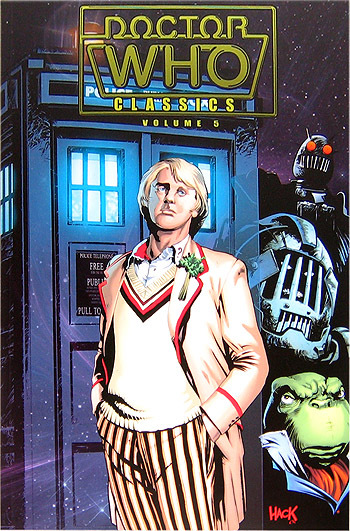 In this collection the adventures of the Fifth Doctor continues in "Lunar Lagoon" and the four-part "4-Dimensional Vistas," printed in the U.S. for the first time, and more! Featuring all-new colors by Charlie Kirchoff.